According to Billboard's official tweet, BTS's latest release Map of the Soul: Persona is bound to score No.1 on the Billboard 200 chart. 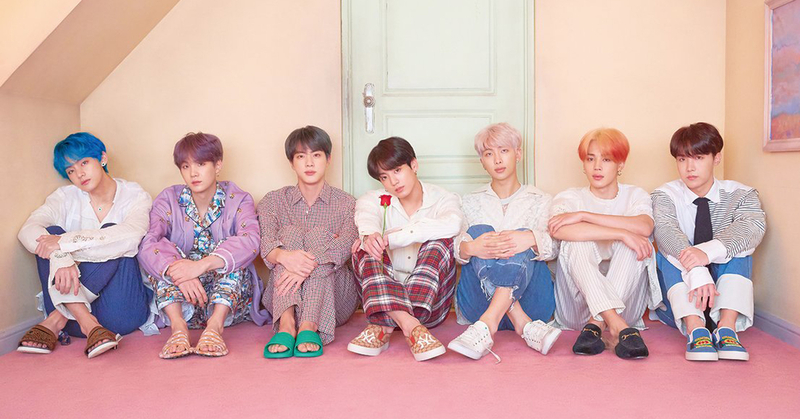 This will be the third time BTS earns No.1 on the Billboard 200 chart. Last year, they scored No.1 with Love Yourself: Tear on May and with Love Yourself: Answer in September, which makes BTS write yet another page on the K-pop history. Billboard wasn't supposed to be revealed until next week, but the gap between the first place winner and the runner up was so big, billboard exceptionally just tweeted their victory beforehand. Billboard reported, "Industry forecasters suggest the set, which was released on April 12, could earn between 200,000 and 225,000 equivalent album units in the U.S. in the week ending April 18". The chart in which BTS scores No.1 will be revealed on Sunday, April 21.